The biggest energy companies in the UK are raising gas and electricity prices, blaming soaring wholesale costs for the hikes. And because the "Big Six" energy firms supply gas and electricity to 99% of the country, almost every household is affected when bills rise. E.ON became the latest of the "Big Six" to announce price rises earlier this month. 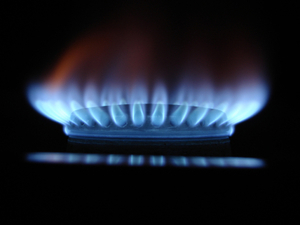 Its gas bills will rise by 18.1%, and electricity by 11.4% from September 13. However, as E.ON announced the rises, research by the Sunday Telegraph showed gas and electricity prices were at their lowest for a year - casting a shadow over the company's reasoning behind the hikes. Both wholesale gas and electricity prices have fallen considerably since peaking in March - marking a 22% fall for gas and a 19% drop for electricity. Despite this, four of the "Big Six" have revealed inflation-busting rises - and although their wholesale energy is bought in advance, even bulk order prices have dropped. The rises have led to calls for energy regulator Ofgem to investigate the firms. EDF Energy and Npower are expected to announce similar rises in the coming week. Omar Rahim, from Energy Trader Daily, told The Mirror: "The wholesale electricity and gas markets have fallen consistently since March, this is not something that has happened suddenly. It's ironic that on a day when suppliers are again raising their prices, gas prices are at a year low and electricity prices are also at multi-month lows."